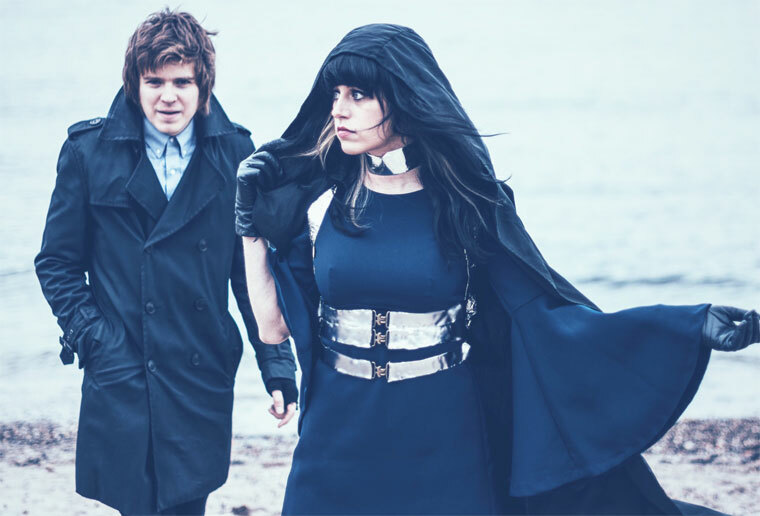 THE BALCONIES are a Toronto-based alt-pop group started in 2008 by Jacquie Neville and Liam Jaeger. Their influences include Yeah Yeah Yeahs, Duran Duran, & New Order. The undeniable energy and artistic stage presence has been finely honed over the last seven years, touring relentlessly in Canada, the US, and Europe. Finally taking time to record their self-produced third release titled RHONDA, The Balconies worked closely with renowned producer/mixer Jon Drew (Arkells, Tokyo Police Club, Fucked Up) on mixing the album in Toronto. Rhonda is set to be released October 14, 2016, and explores a myriad of musical and thematic material that unites to tell the story of Rhonda, a fictional heroine. Her story of hope, artistry, self-discovery, and exploration of what it means to be authentic in today's highly saturated media industry will resonate with music lovers of all ages, and those who struggle for artistic expression.